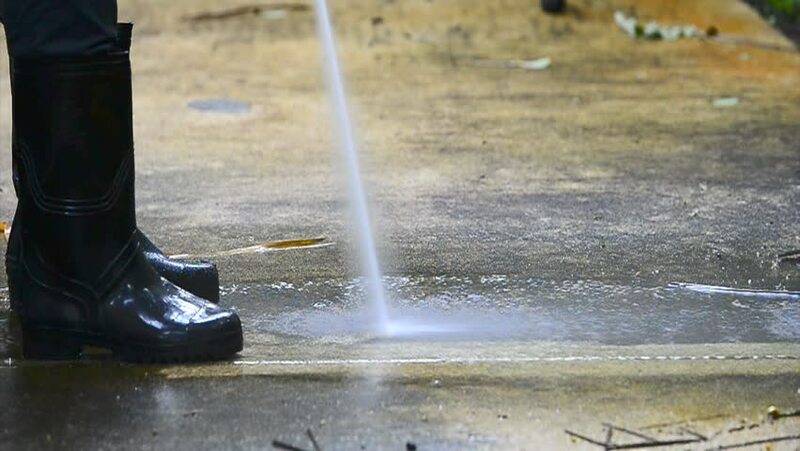 Man wearing black waders cleaning dirty driveway with high pressure water cleaner ,professional cleaning services. High pressure water cleaning, side view HD slow motion. hd00:13background video of tap water fountain leaking from pipeline after poor street construction and fix ground basement.